This collection of matching Box Files will help you organise your documents and collections with ease. 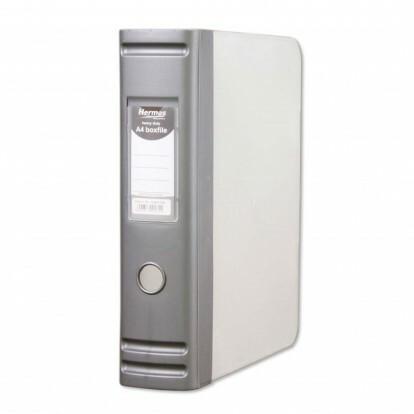 Made of Heavy Duty Polypropylene they are of archival quality and ideal for Long term storage and Frequent use. All the Files are made from Translucent white Polypropylene and have coloured Spines, finger holes for getting them off the shelf and an index label. The Box Files have Snap Closure Tabs with easy release, the sides of the box fit securely together to keep out dust and dirt, but when open there is easy access close to the Spine. This is the 2 D-Ring A4 Boxfile version. - it will fit A4 documents and sleeves.